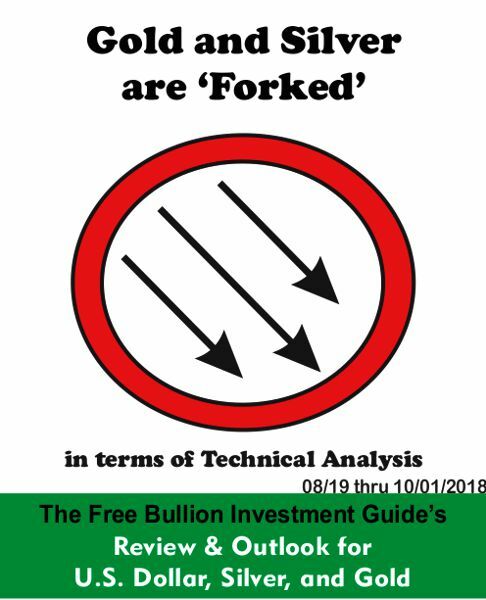 Gold and Silver are 'Forked,' in terms of Technical Analysis, means that they're trading inside an Andrew's Pitchfork. The pattern is called an 'Andrew's Pitchfork' because an investor named Alan H. Andrews developed the charting pattern, but, in practical terms, the pitchfork is a glorified trading channel. 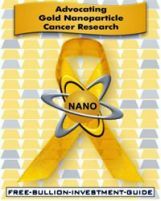 You'll see what I'm talking about when you see the gold and silver charts below. For the U.S. Dollar's outlook, its price is still trading inside a broad 'Rising Expanding Wedge' pattern. However, it doesn't seem like it will be confirming it, by falling below it, anytime soon. 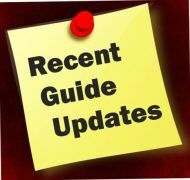 The dollar has been on a constant rise, and depending on what economic data comes out in the next several weeks, it looks like the Federal Reserve may raise Interest Rates again. 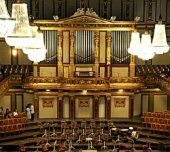 As long as Interest Rates rise, we will most certainly see the U.S. Dollar rise, and by seeing what the market expects from 'The Fed,' here, a rise in Interest Rates will most likely happen at the next Federal Reserve meeting on Sept 25-26. So for the weeks to come, I expect to see the U.S. Dollar continue to move inside the broad pattern. 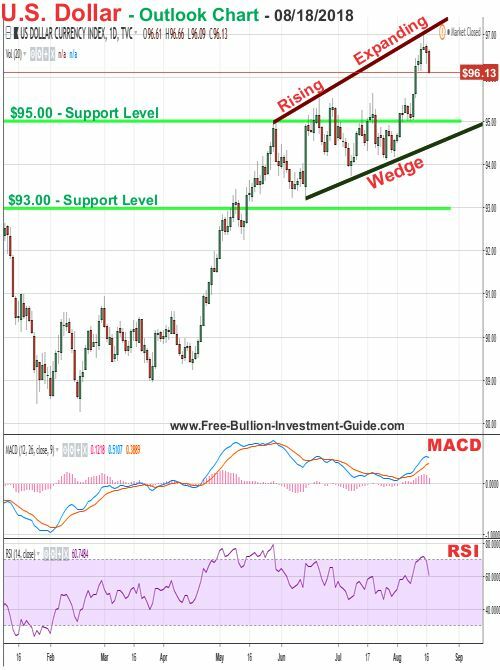 Overall, the dollar looks like we may see a pullback in the immediate future, but it's doubtful that it will be enough to confirm the pattern, and it will most likely bounce back and move higher, in the long run. By comparing the commentary and chart above with the chart below you can see that we did "see a pullback in the immediate future." However, we did not see the dollar "bounce back and move higher," instead it moved lower confirming the negative 'Rising Expanding Wedge' pattern. In the U.S. Dollar's outlook chart below, a positive 'Falling Wedge' pattern has formed. As seen here, the market is overwhelmingly expecting the Federal Reserve to raise interest rates another quarter of a percent (.25%) at its next meeting, later this week on Sept 25-26. So, if the Federal Reserve raises rates, as it is expected to do, the positive 'Falling Wedge' pattern should be confirmed sometime in the near future. 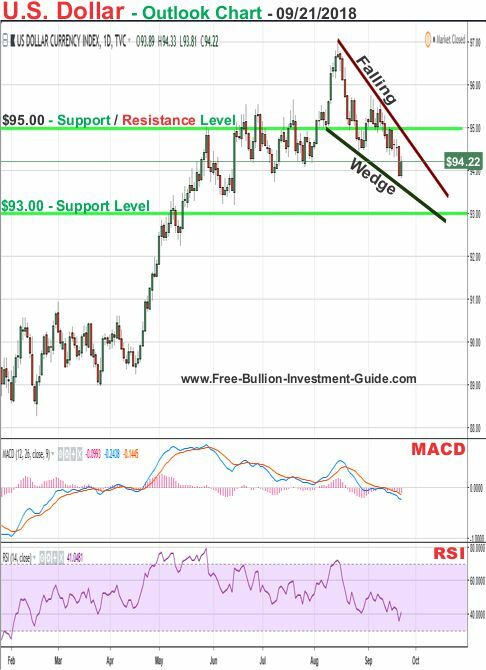 Four weeks ago, the outlook below was posted for silver. 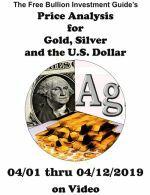 "At this time, the best thing that those of us who analyze these markets can do for you is to show you where the support levels are for gold and silver, watch how they move hereafter, and go from there." 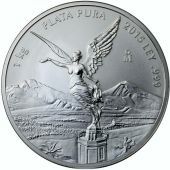 Unfortunately, for Silver, it has fallen through most of its previous strong lows. 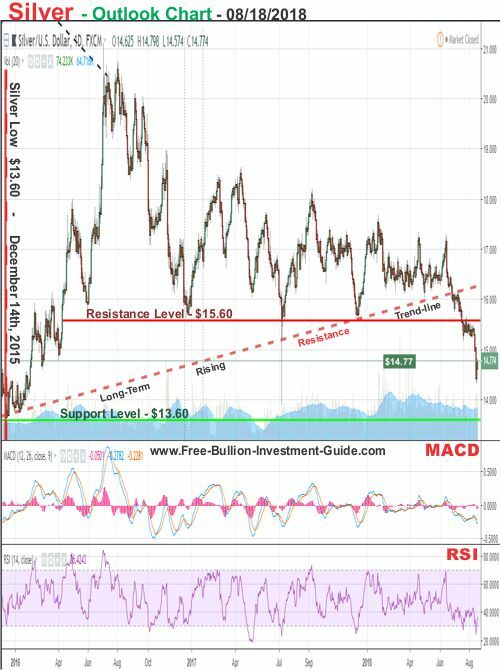 Currently, the strongest support level that still stands for silver dates back to December 14, 2015, when silver hit a low of $13.60. 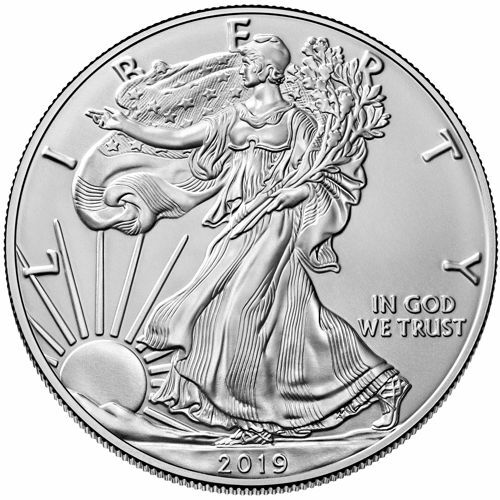 For silver's outlook, there are no technical patterns to be found when the price is falling, the best thing to do is stand back and wait for it to stop. 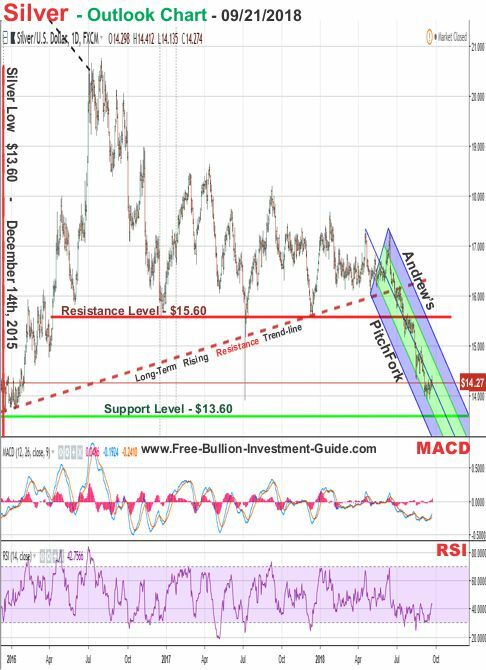 There are other strong support levels, for silver, under the $13.60 price level, but for now, we'll simply have to wait and see if the $13.60 support level holds. 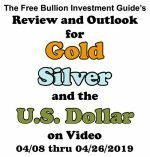 As you can see in the 1st Outlook chart below, silver has continued to fall in price, however, it also found a consolidation price level around the $14.20. Below, is the first view of the 'Andrew's Pitchfork,' the 2nd Outlook chart (below) offers more information about this technical trading pattern. 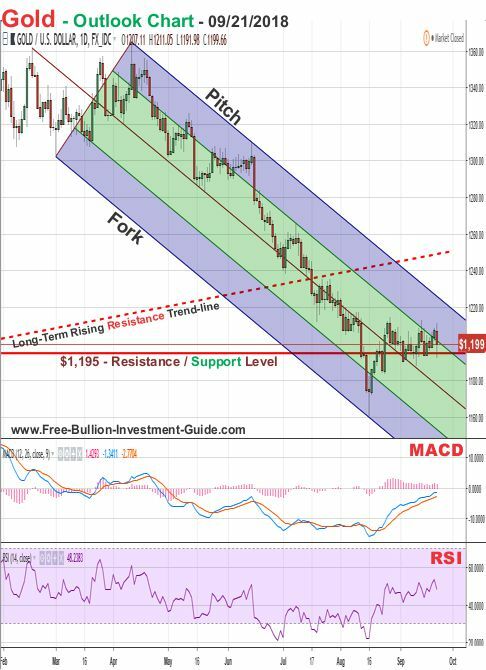 In the 2nd silver outlook chart, below, you can get a better view of the Andrew's Pitchfork. Even though there are some technical factors that are involved in finding them, as mentioned in the intro in 'practical terms' an Andrew's Pitchfork is simply a glorified channel. The green area of the pitchfork is called the median, the lower blue shaded trend-line is support and the upper blue shaded trend-line is resistance. 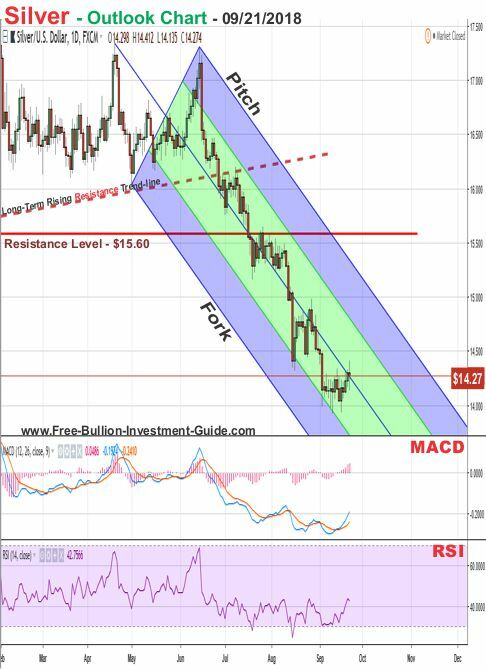 Furthermore, much like a channel, if the price of silver breaks below the support level, it will be a very bad sign for silver's future price, however, if/when it breaks above the upper trend-line, it will be the first sign that it has found a bottom. See a full explanation of a Andrew's Pitchfork here. 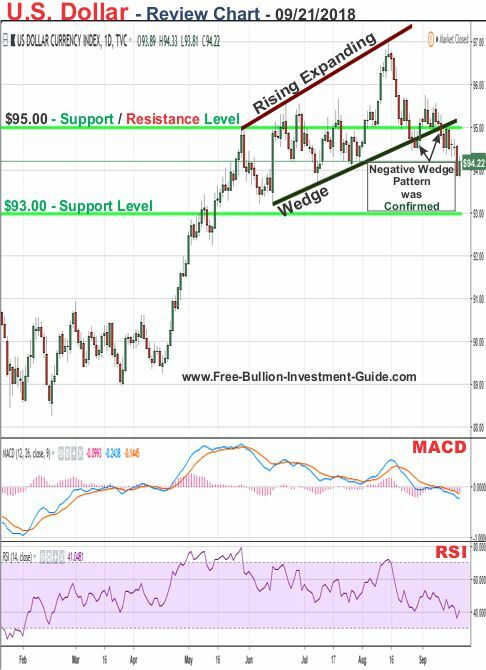 The following chart and commentary was posted four weeks ago, in gold's last outlook. For gold's outlook, more downside is expected for the precious metal, we can expect some bounces up, but its overall expectation is for it to move lower at this time. 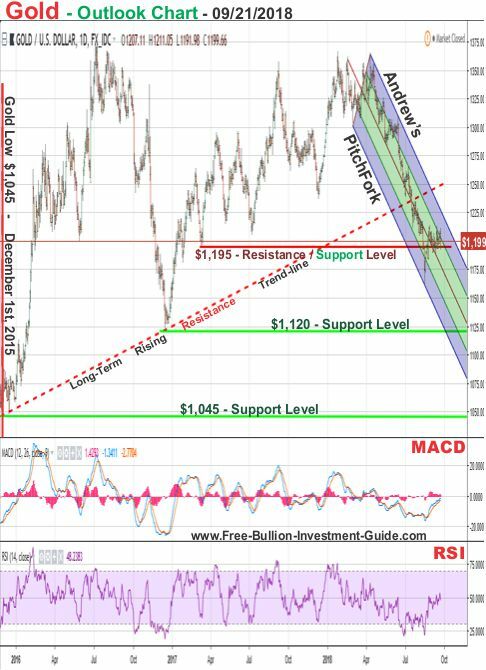 In the outlook chart below, I've indicated two strong support price levels that may stop gold's fall in price. Those price levels are the $1,120 price level and the $1,045 price level, hopefully one of those price levels will hold, time will tell. 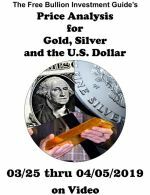 The important thing to remember about gold and silver is that they almost always move opposite of the U.S. Dollar, and if we continue to see Interest Rate hikes we should also continue to see the dollar move higher, and gold and silver move lower. But, as we saw in 2008, the constant rise of interest rates will put more strains on the economy, especially on those who have debt, and sooner or later that strain on the market will break, which will cause all markets to fall. 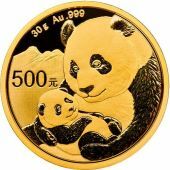 In addition, even though gold and silver will most likely fall with the other markets when this happens, they will also be the first to recover after traders flock to them because of their 'enduring' safe haven status. 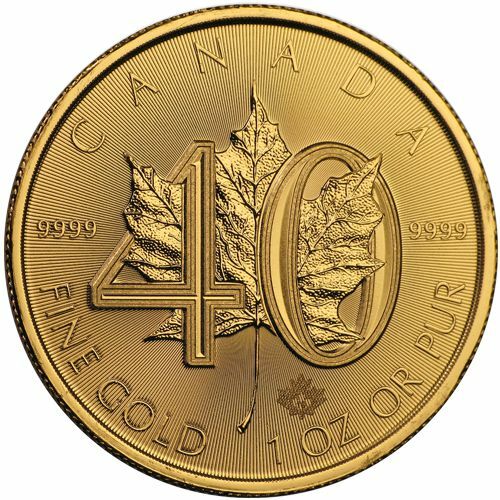 This is just something to remember while gold (and silver) fall in price, searching for a bottom. Unlike silver, gold did fall in price, but it bounced back up and is now hovering around the $1,195 resistance / support level. Please continue to scroll down to get a better view of the pitchfork in gold's price chart. 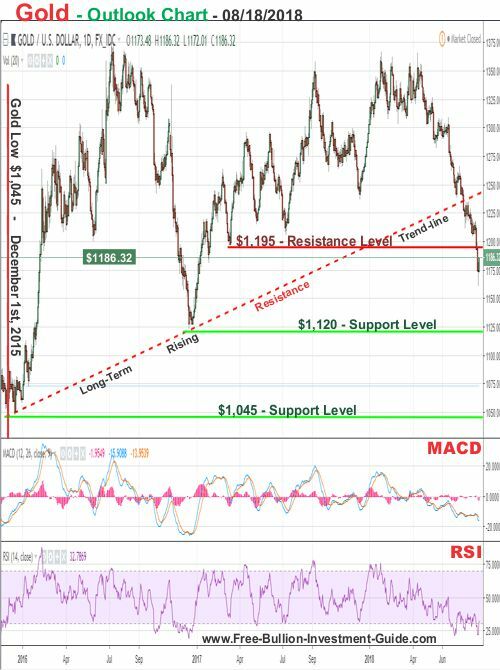 In gold's outlook chart below, you can get a better view of how gold's price has consolidated at the $1,195 resistance/support price level. In addition, just like silver, if the price of gold falls below the bottom blue shaded trend-line, it will be a very bad sign for gold's future price. However, if/when it breaks above the upper blue shaded trend-line, then that will be the first sign that it is forming a bottom. 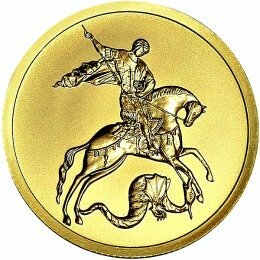 For now, the market is expecting the Federal Reserve to raise interest rates by 25 basis points (.25%), and if it does so, the price of gold is expected to continue to trade inside the Andrew's Pitchfork and move lower.